Did you know there is an importance of mattress cleaning? Your mattresses get dirty over short periods of time due to our natural sweat and shedding. At night we sweat and shed skin cells like crazy! We don’t see it and we think it doesn’t touch our actual mattress when we have sheets to cover it but no matter what we do it does. Your fluids and skin cells not only weigh your mattress down you are also sleeping in this without realizing it. Besides the sweat and skin cells you also have dust mites, bed bugs, dust, and allergens living in your mattress. Every night you are going to bed with all of this! When you think about it isn’t it disgusting? You wouldn’t want to live in a dirty home or sit on a dirty sofa would you? So why would you want to sleep in a dirty? At Beyer Carpet Cleaning we can help you with your bed problem. It is recommended to change your mattress out every 10 years but before your 10 years is up give Beyer Carpet Cleaning a call. At the very minimum you should have your mattress cleaned by a professional once a year. Mattress cleaning is vital to your health and comfort. If you have babies you know how they love to poop and pee while you are changing them. Many times it goes through the blankets and soaks your mattress or if your child is potting training they have accidents while they are sleeping and soil their mattress. No one wants to sleep on soiled mattresses do they? This is where the importance of mattress cleaning comes in. 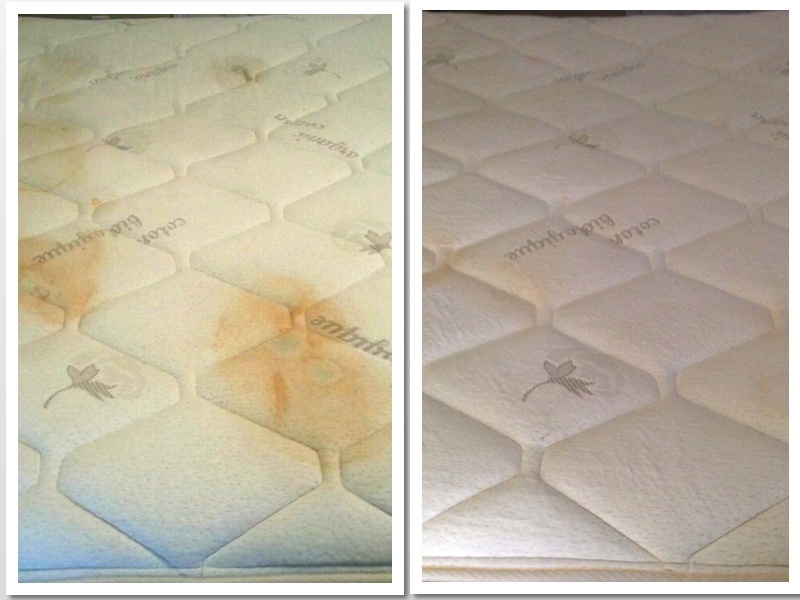 At Beyer Carpet Cleaning we can clean and sanitize your mattress. Mattress cleaning isn’t the easiest to do especially for amateurs on Craig’s List. If your mattress becomes soaked by the steam cleaning you will have to get rid of the mattress because of the mold and mildew that will form. If your mattress is under cleaned it may not get everything out that needs to be removed. Beyer Carpet Cleaning uses a low PSI to spray and stem the mattress. The spray kills germs, bacteria, and removes any stains you have while the stem uplifts all of this plus killing anything else in the mattress with our 210 degree stem. By using a low PSI this only leaves the surface of your mattress slightly damp and dries in no time. This process is safe and effective. So call Beyer Carpet Cleaning and we’ll get those bed bugs out!